Today we brewed the ‘House’ India Pale Ale. The wort’s color looks much more like the picture on the right. It looked like an SRM 10 or 11 rather than the 6 that was forecast. 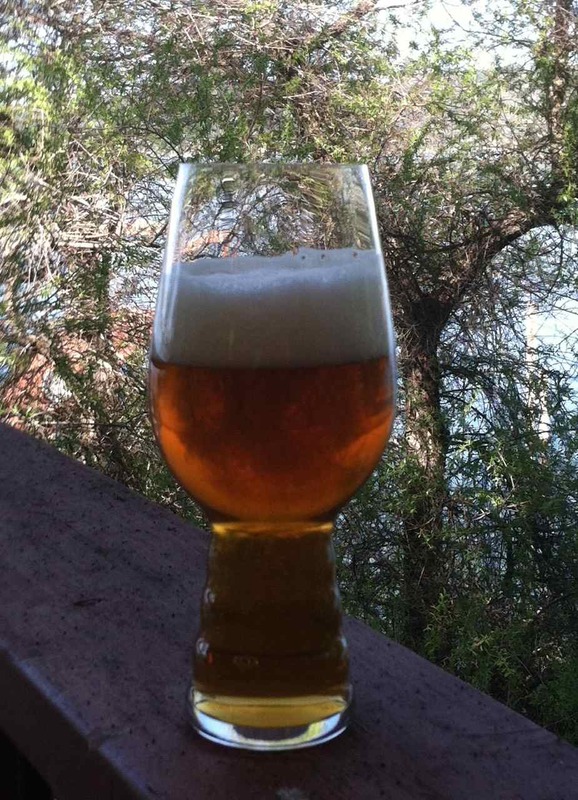 Julian Shrago’s Laurel IPA is the base recipe for our ‘House’ IPA. Of course we here at Flog This Dead Brewing tweaked the original recipe (which is at the bottom of this post). 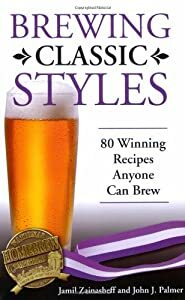 We wouldn’t be homebrewers if we didn’t change something about the recipe, would we? For one thing, Julian “Burtonizes” the water, and that will make the beer seem bitterer than the already mindbogglingly high 96 IBUs. 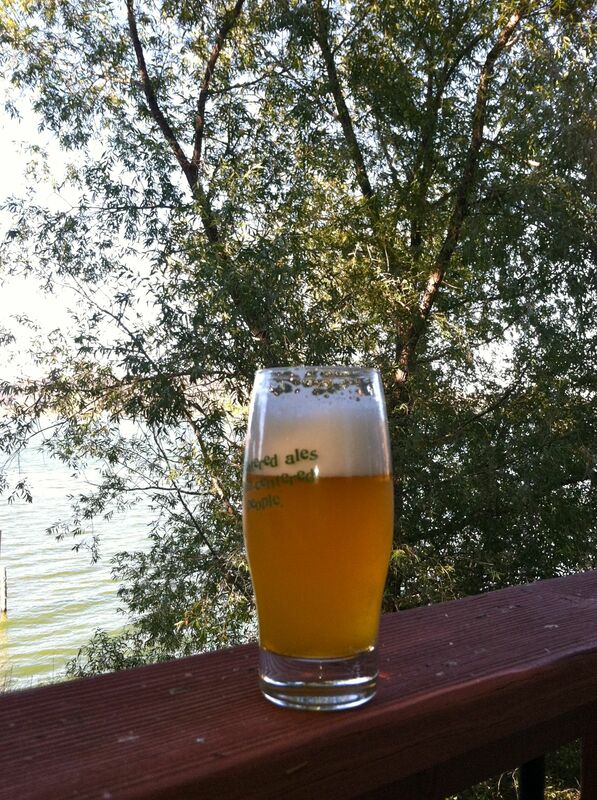 To my taste, the Burtonizing the water for Beachwood BBQ Brewery’s offering gave it a tinge of diesel. And, diesel is a taste I don’t lust after. My mash temperature was 8-10F too hot (temp did not drop after adding grain). The rule of thumb for heating water for mashing the milled grain is to heat it 10-12F above the desired mash temperature (e.g. 161-163F for a desired mash temp of 151F). I expected the temperature to when I added the nearly 15 pounds of grain to the heated water. It didn’t. Do you have a similar experience? 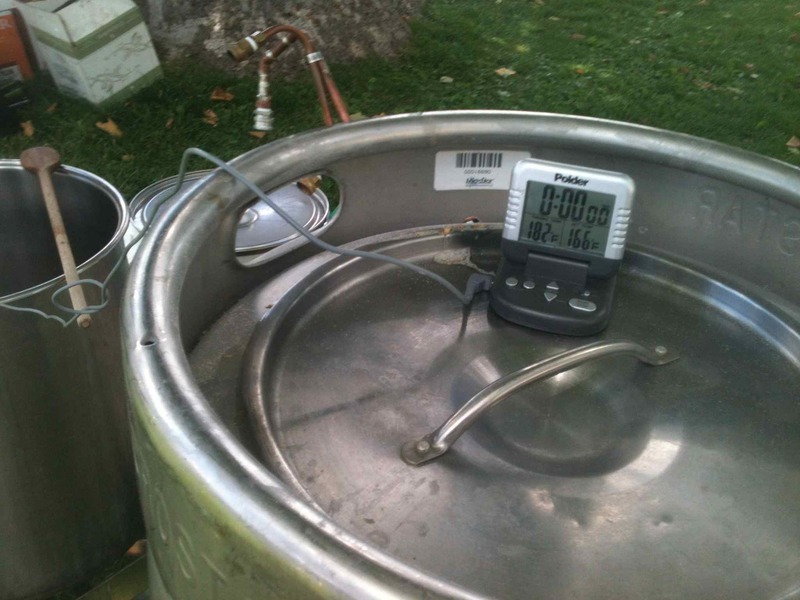 Is this because of the keggle’s mass holding the heat and the weldless thermometer? The pre-boil gravity calculated by BeerAlchemy is too low (perhaps by 7 points), which means my assumed evaporation is too high. Total time for brew day: 7 hours. That includes set-up and clean-up. For an extract, try 6.9 lbs of dry light malt extract and steeping 0.4 lbs carapils and 0.3 lbs of caramel 40 at 160F for 30 minutes or so. Last November while on the Brewing Network, Rodger Davis and Julian Shrago announced a Pro/Am collaboration on Julian’s Laurel India Pale Ale. Rodger (then at Triple Rock) and Julian (at Beachwood Brewing ) invited homebrewers to brew the same recipe that they would be brewing at their respective breweries.Then in December came the tasting. 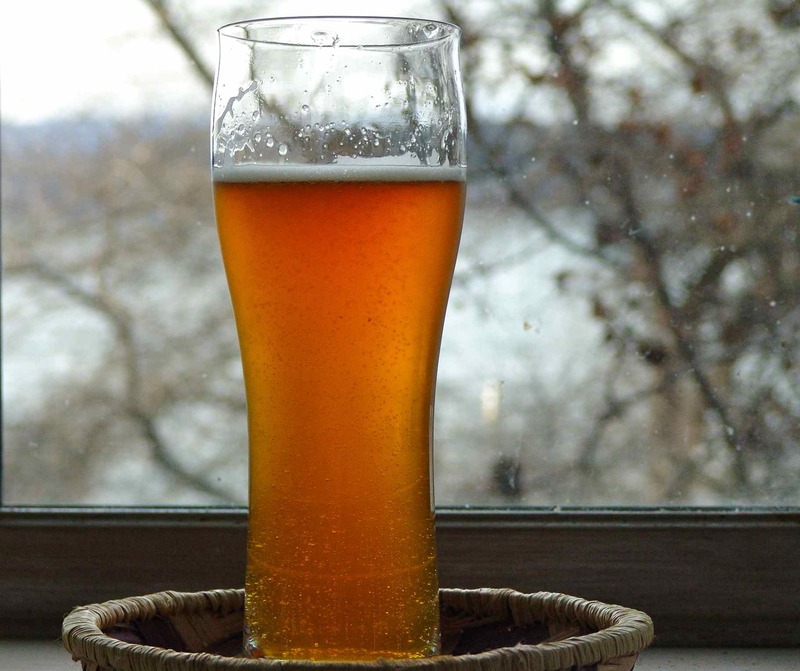 The two brewers made radically different beers. Julian loves first wort hopping and Burtonizing the water. Then Triple Rock brewer, Rodger Davis does not believe in first wort hopping or Burtonizing. There were other differences. The brand of grains was different and the water was different (Berkeley vs. Long Beach). Mash @ 151 degrees Fahrenheit for one hour. Last November while on the Brewing Network, Rodger Davis and Julian Shrago announced a Pro/Am collaboration on Julian’s Laurel India Pale Ale. 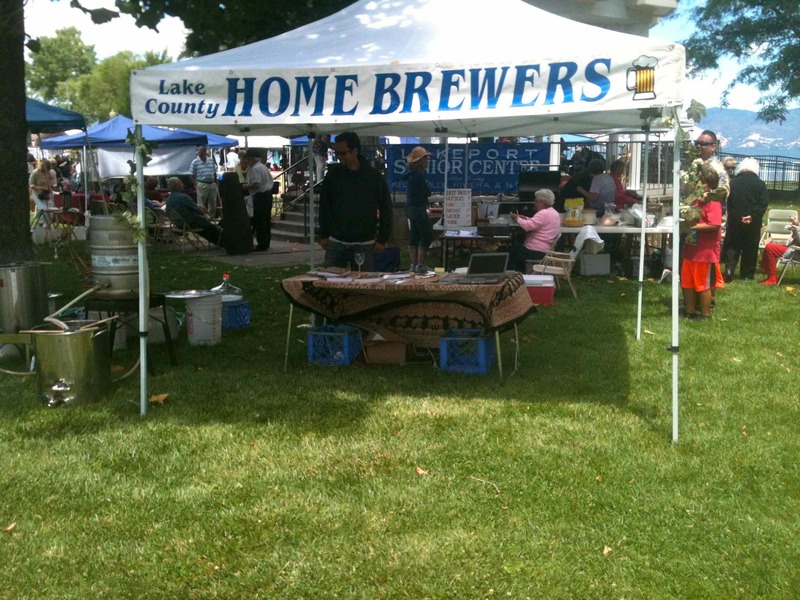 Rodger (then at Triple Rock) and Julian (at Beachwood BBQ Brewery) invited homebrewers to brew the same recipe that they would be brewing at their respective breweries. I brewed it and was able to compare it to the Triple Rock and Beachwood versions (Beachwood “Burtonized” their water and that changed the taste completely). The Triple Rock and Beachwood versions were radically different. To my taste, the Burtonizing of the water for Beachwood’s gave it a tinge of diesel. 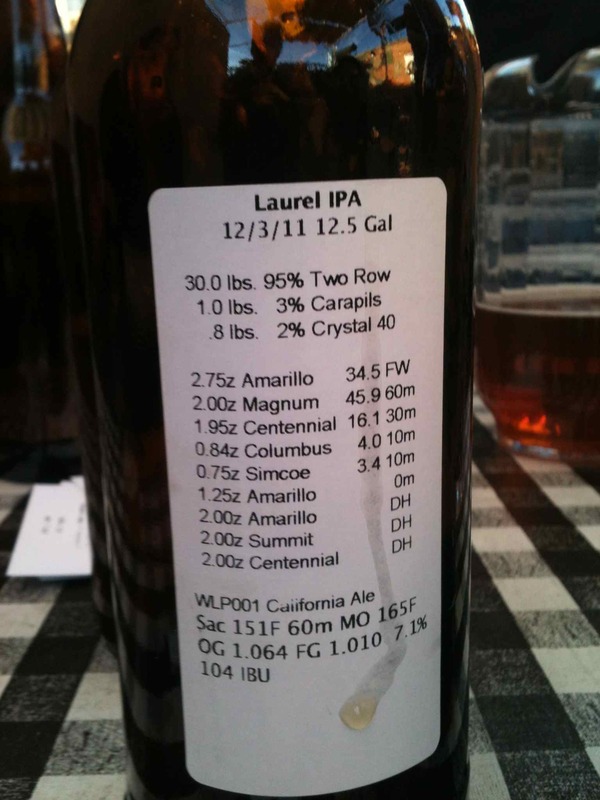 Without Burtonizing, Laurel is now my go-to IPA and we here at Flog This Dead Brewery are now running dangerously low. For an extract, try 6.9 lbs of dry light malt extract and steeping 0.4 lbs carapils and 0.3 lbs of caramel 40 at 160F or so. It’s been nearly a month since we at Flog This Dead Brewing avoided injuring even though we boiled 10 gallons of wort for over 3 hours inside a drafty hall filled with randomly running children and tipsy people. We were able to move the wort into fermenting carboys and added yeast at which point the wort changed (legally at least) into beer. 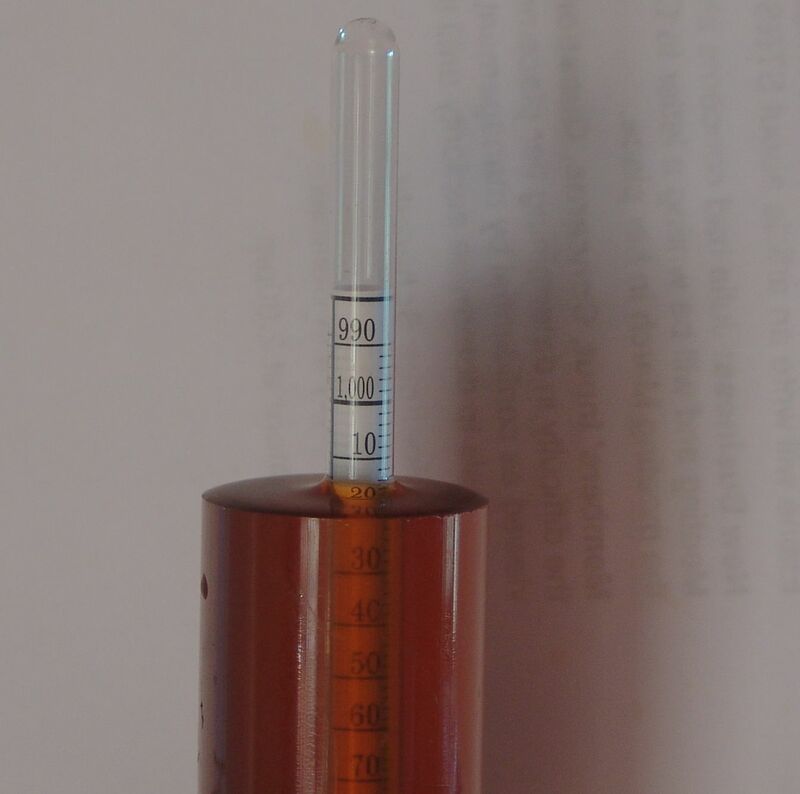 A week later we took a sample (using a wine thief, essentially a long plastic pipette) and its specific gravity measured 1.023. 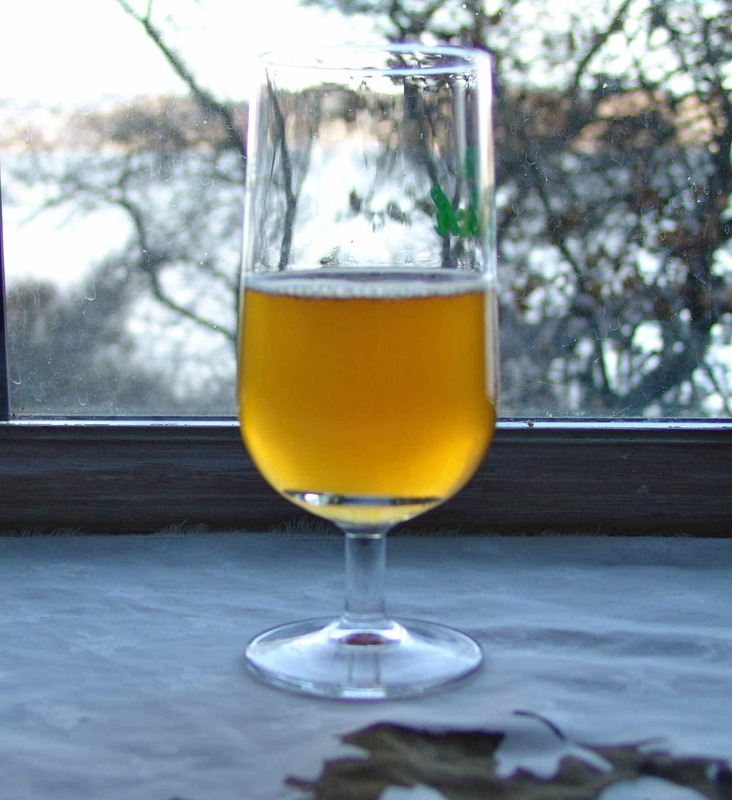 Though there were some “dish soap” tastes–probably phenols produced by the yeast. After one month in the primary and secondary combined, and two weeks after dry-hopping with an ounce of cascade hops, the specific gravity has reached its final gravity of 1.014. So today, the beer will be bottled and set aside for bottle conditioning. Bottle conditioning is the process of adding sugars to the beer to awaken the yeast and get them working again. Their burping of carbon dioxide inside the bottle will carbonate the beer. But, first we will taste the month-old beer to see how it’s doing so far. The beer has a deep red color with a floral nose and taste (reminiscent of rose petals). The soapiness is gone and hoppiness jumps out at you but it is still slightly sweet. In future batches, I think the malt might use a little more presence. Since this was an extract brew there was not much we could do about that. The yeast ate the extract and left the beer a little drier. In an all-grain batch I might try mashing in the 155F (68C) range which will leave some more unfermentable sugars that the yeast can’t digest. I’ve decided to experiment with the flavor profile by bottle conditioning half of the batch with corn sugar (0.46 oz/gal) and half with honey (0.56 oz/gal). I’m interested to see how the honey will play with the already great flavors. It may be too much of a good thing. We will know in a few more weeks which method was the right choice. 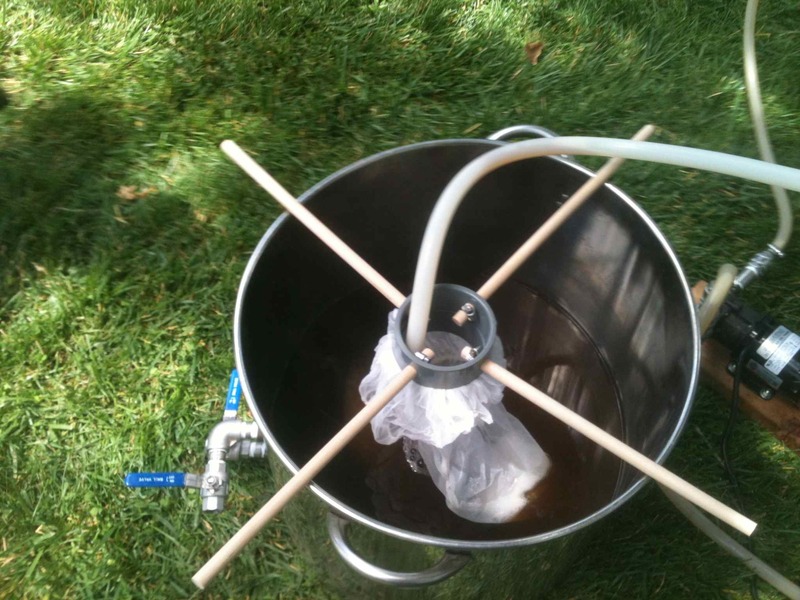 Carbonation calculation for a brown ale.